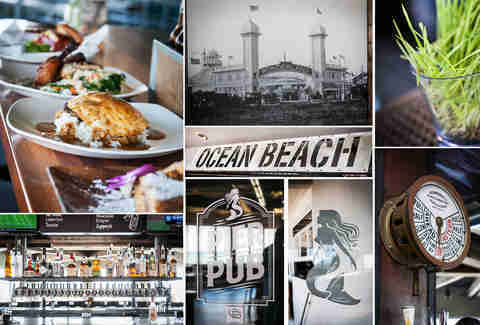 For a sandwich that actually describes your state of being upon finishing it, try the stuffed burger at OB's newest beachfront spot: Wonderland Ocean Pub. 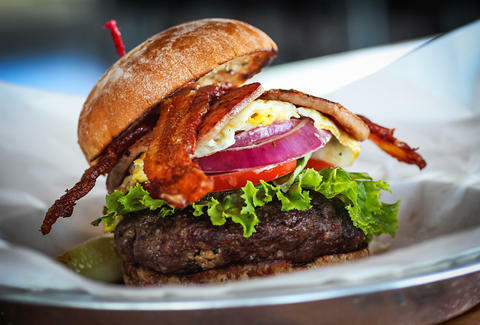 The patty gets stuffed with blue, smoked cheddar, or jalapeno cheese, then topped with your choice of bacon, Spam, egg, mo' cheese, BBQ sauce, mushrooms, jalapenos, fried onions, and avocado. Choose all of the above to get yours more stacked than the mermaid on the front door. 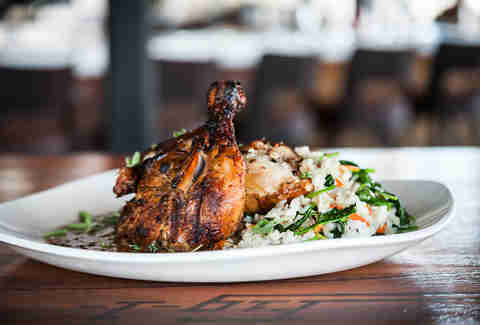 Because everything is better when it's cooked in beer (well, most things... ), their beer can chicken is marinated in Stone Pale Ale, roasted, fire-finished, and served up with garlic fried rice. 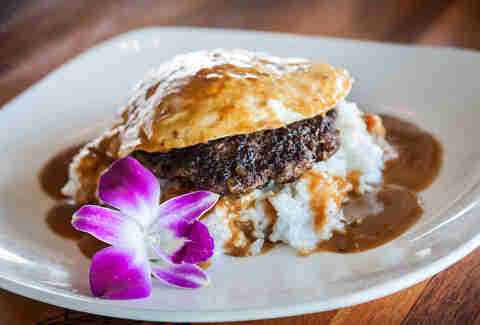 Also rocking the garlic fried rice: this Woco Moco, a Hawaiian dish made with a burger patty and two eggs over-medium, and smothered in chicken gravy. 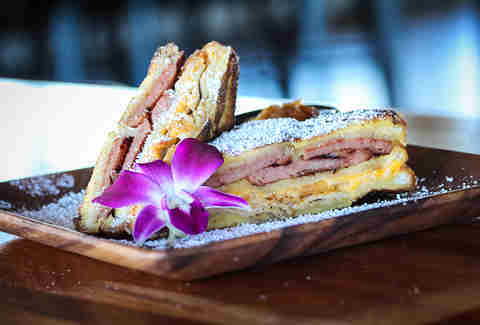 Sticking with the Hawaiian theme, the Haoli Cristo is their take on a Monte Cristo with sliced turkey and Spam layered with melted Swiss and American cheeses on egg bread that's dusted with powdered sugar, just to keep things from getting too healthy. To balance out all that Spam, Wonderland has a drink list with 'tails like the Grass Roots (Plymouth Gin, muddled wheat grass, St. Germain, and soda water), but if you're not into a drink that looks like a lawn, try the OBcean with Templeton rye, St. Germain (again! 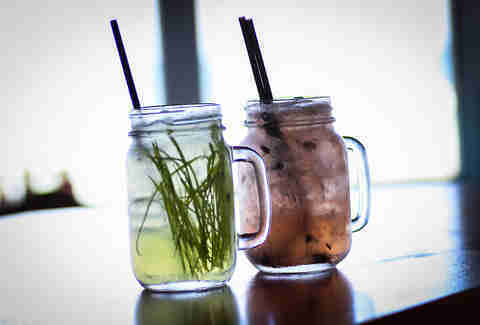 ), lemon juice, and blueberries. 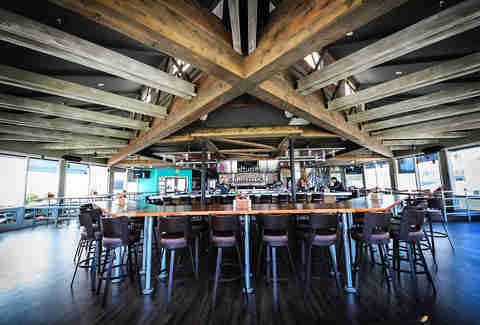 The main bar has wine on tap along and 24 beers, 17 of which are rotating local brews that totally make the other seven feel like outsiders, and has a wall of windows boasting a panoramic view of the ocean and OB Pier, so there's not a bad seat in the house. 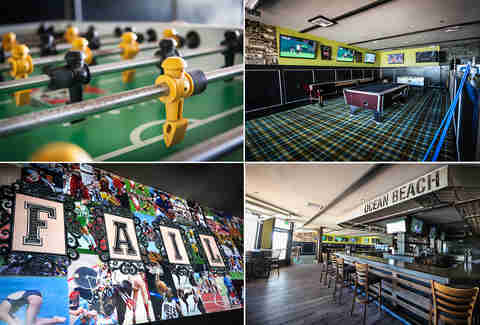 When you get sick of the amazing view, there's a second bar and a game room complete with flatscreens, pool, shuffleboard, foosball, and a wall covered in pictures of athletes' biggest fails. Try not to join them. Kidding -- you're no athlete! A nautical theme runs throughout, from the light fixtures, to their mermaid mascot. And, bringing a little local history into the place, there are wall-sized vintage pictures of their namesake, OB's original Wonderland amusement park. Not a wonderland: your body after all that Spam.